I have two of the best brothers in the world. 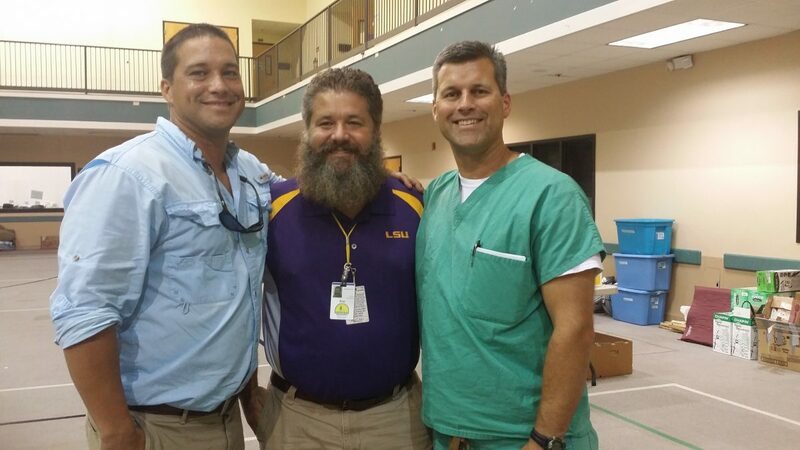 We spent time this week in the flood relief efforts, teaming up to provide help and hope in the name of Christ. As a pastor, a doctor, and a business man we pretty much cover the field. “A threefold cord is not quickly broken” Ecclesiastes 4:12. I’m the oldest of three brothers. I’m the pastor of Lakeshore Baptist Church on the Mississippi gulf coast where I have served since 1994. I also direct Rebuild Lakeshore, a mercy ministry involved in disaster relief, recovery, and rebuilding, launched in the wake of Hurricane Katrina. Dr. Keith Elbourne is an OB/GYN and has Bayou Regional Women’s Clinic. 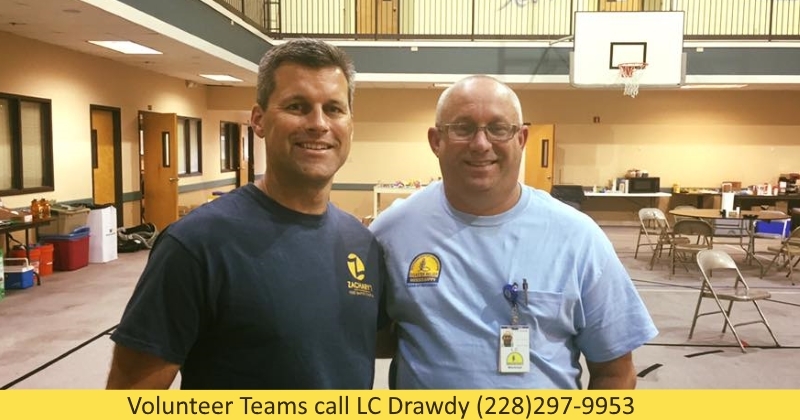 Keith also serves as a deacon at First Baptist Church of Zachary, Louisiana, where the Mississippi Baptist Convention Disaster Relief has set up a command center for the volunteer efforts there. David Elbourne has a successful industrial railroad construction and maintenance company, Rhorer Mutual Industries based in Prairieville Louisiana. He and our dad took a boat in, while the water was still rising, to salvage most of his files and to rescue the companies pet goat. (I’m not kidding.) The RMI offices and industrial complex took on about 6′ of water. David and I spent most of the week touching base with individuals, pastors, and organizations across the flooded region, providing supplies, lending assistance, and establishing partnerships for ongoing recovery efforts. I can not praise my two brothers enough. They, along with our dad, are the three most inspiring, encouraging, and influential men in my life. I praise God for them. 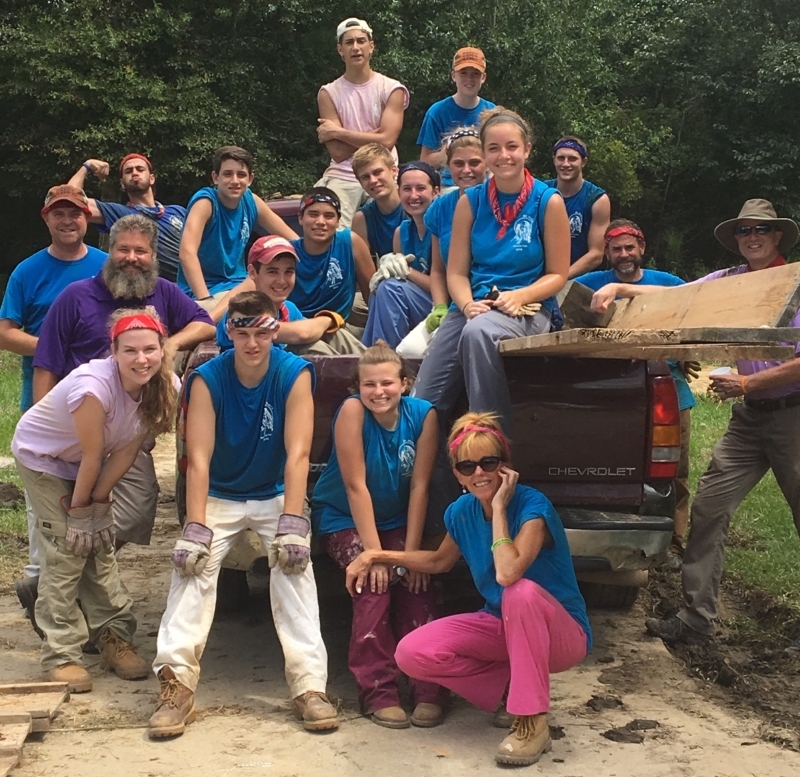 This week Lakeshore Baptist Church teamed up with our Gulf Coast Baptist Association to provide mud-out teams in the Gonzales LA area. 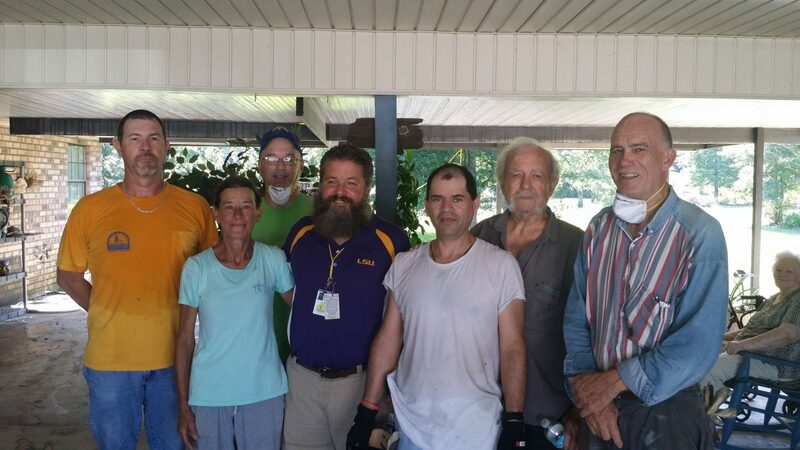 We partnered with Ascension Baptist Church and FBC Gonzales. 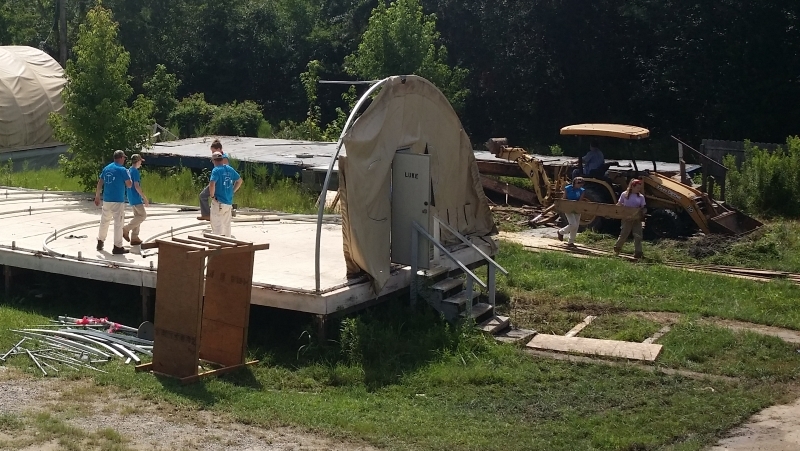 A shower trailer unit from Tennessee Baptist Disaster Relief provided shower and laundry facilities. Mr Larry Rutherford led the team to mud out several homes. This was our first trip, but it defanatly will not be our last. 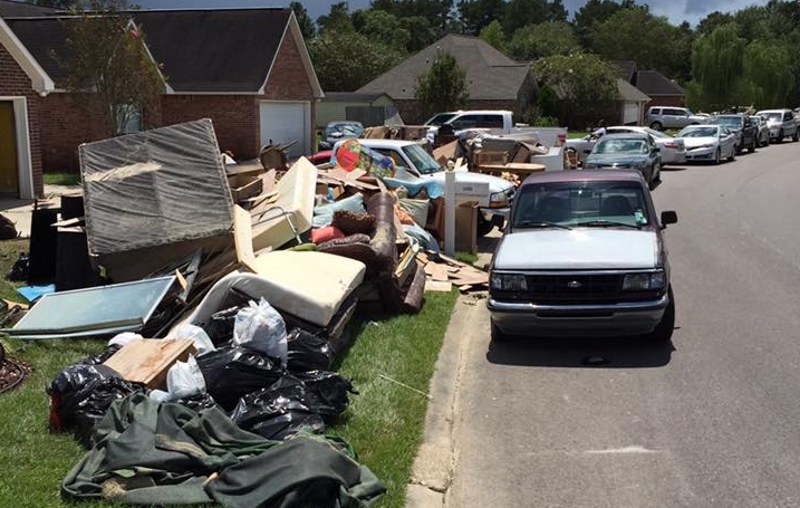 The first phase of clean up after the Louisiana flood is well underway. I touched base with numerous churches and organizations in the effected region this week and while thousands of volunteers have boots on the ground, the biggest need right now is people. The next few weeks will focus on mud out. Believe it or not, thousands of homes have already been gutted and are drying out. Drive down almost any street in the effected areas and piles of debris line the sidewalks, but then, if you look, there sits a house here and a house there and two more over on the next block, and a few on that street over there, and on, and on… that have no debris outside. This means the folks living in the home are either out helping someone else or are unable to do it themselves, or the volunteers have not made it down the list to them yet. Its going to take weeks of hard work; and that’s even before rebuilding can begin. I’m calling out to all our Rebuild Lakeshore partners to come and lend a hand in this clean up effort. Several folks have asked if Rebuild Lakeshore will be assisting in the relief, recovery, and rebuilding efforts in the wake of the Louisiana flooding. The answer is “YES.” We have already been coordinating efforts, providing immediate assistance, and mapping out long term strategies. Start making plans for a mission trip to the region. We are establishing partnerships with several possible mission trip destinations in the effected areas that will be hosting volunteers. If you made a mission trip to Lakeshore for Hurricane Katrina relief, the situation will be very similar. We learned a lot from those experiences and we want to leverage that knowledge and convert it to the maximum effectiveness. More news will be available very soon. 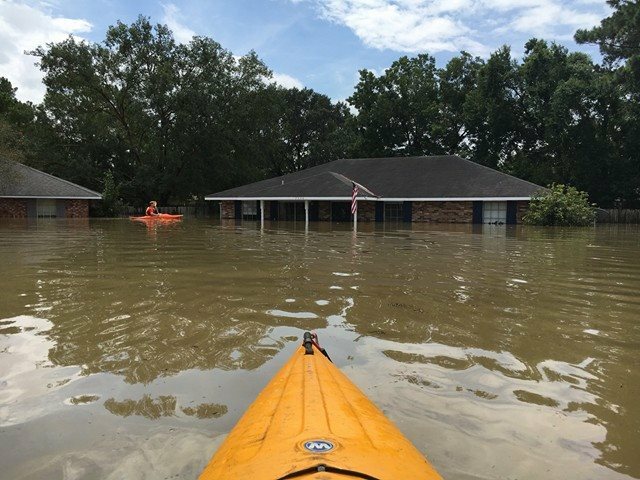 Thousands of homes sit under flood waters in my home town of Baton Rouge. A close friends home, pictured above, took on water this weekend. Countless other families find themselves in desperate need of assistance. We know what its like and plan to provide help by sending supplies, going to clean up, being there, and offering prayer. Our Gulf Coast Baptist Association has secured a tractor trailer to deliver pillows and blankets to the effected region. Donations of pillows and blankets can be brought to the GCBA office 11201 Old Hwy 49, Gulfport MS 39503. When roads are open, probably later this week, the supplies will be delivered to our Louisiana partners. Even as flood waters continue to rise in some places, we are planning to deploy. Lakeshore Baptist Church in partnership with Southern Baptist Disaster Relief is assembling a Mud Out team to assist in the clean up efforts in the Baton Rouge area. We know that boots on the ground make a huge difference. We were helped, by so many, after Hurricane Katrina, its time for us to help our neighbors in Louisiana. We are going. Please pray for the families effected by the flooding, the other families that are taking in evacuees, the rescuers, the relief workers, the state police and other officials, and everyone else, as we all work together to get through this to the glory of God. If you would like to help financially to these efforts you can donate online via Paypal. Just click on the link below. The third of the four Quonset huts of our Katrina complex came down last week. Despite the debilitating heat and sporadic thunderstorms, a great group of volunteers from Massachusetts pushed forward and completed an astonishing amount of work. In addition to the decommissioning and clean up efforts, they also provided a tremendous boost to the distribution center at The Mercy House. We can’t thank them enough for their help.